St Thomas' Church has organised a workshop on Friday 22 July from 1.30 - 4.30pm at St Thomas' Centre. 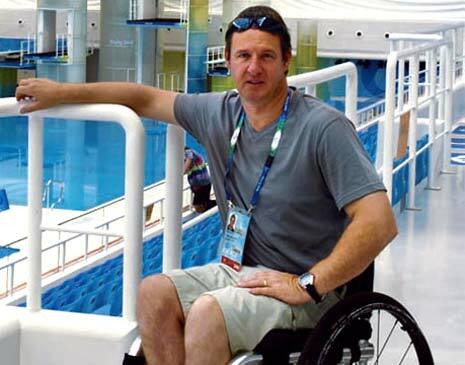 The workshop will be run by Martin Mansell who is a paralympic medallist and globally recognised lead practitioner on inclusive sport. He will provide the training and mentoring we need to provide us with skills and confidence to deliver adapted physical activity sessions to people of all ages, including older people. He wants to bring this workshop to disability organisations, community groups and older people clubs across Chesterfield. If you are interested in attending, please contact Sally-Anne on admin@st-thomas-brampton.org or 558461 by 3pm on Tuesday (21st June).